Apple Inc. is one of the most trusted technology companies for smartphones nowadays. Through the years, they have released different iPhone units and have developed them to the level that now they offer superb performance and great productivity. These phones come with an operating system which gets updates every now and then. However, since some units are outdated and can no longer hold the latest version, there might be files which the newest versions cannot process. Hence, sharing between an old and new version can be troublesome in some cases. So, the only way to play your media is to mirror iPhone to iPhone. Read along to find out more information. Why people need to mirror iPhone to iPhone? There are many reasons why you have to mirror your iOS to another. For instance, you want to transfer videos from iPhone to your friends and colleagues but you’re having a hard time sending the files to them. Even though lots of sharing application are available on the market, some media files are not compatible to other phone models to be played on them. Or if you’re an educator, you opt to share your screen to your students to easily teach the lesson or show them the material they needed. In these moments, casting your iOS screen is very handy. For ways on how you are able to do it, check the tools below so you can mirror old iPhone to new iPhone. ApowerMirror is the first app that you can utilize. It is a screen mirroring app for PC which allows users to stream phone screen to PC. There are many practical features, including taking screenshots, recording phone screen with audio efficiently and “White board”. It enables iPhone users to connect iPhone to PC without USB cable. You can connect three devices to the computer at the same time. 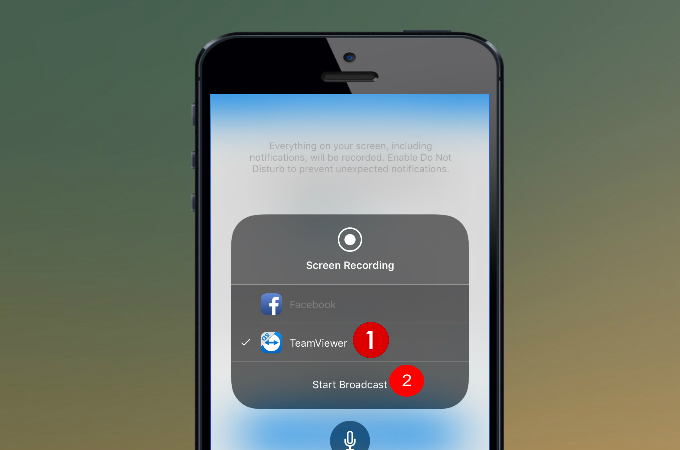 With this powerful screen mirroring app, you can mirror iOS to any devices easily. Here is the detailed guide to mirror iPhone to another. 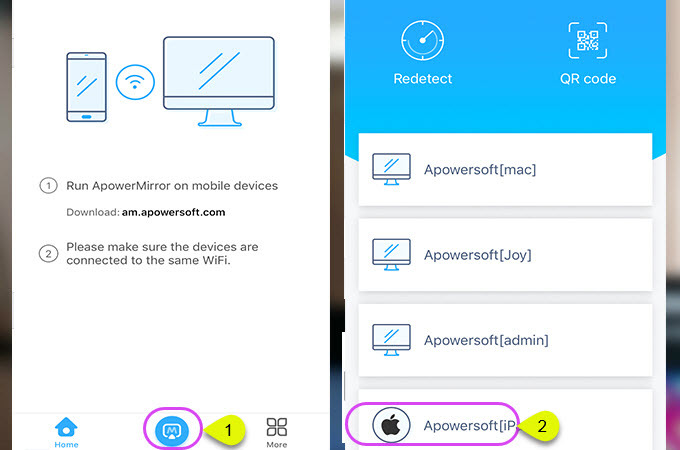 First, download ApowerMirror on both iPhone devices. Make sure your devices are connected to the same WiFi network. Launch the app on your phone and then tap the “M” button on the streaming device to search for another device. Tap the name of your iPhone device. Open Control Center. 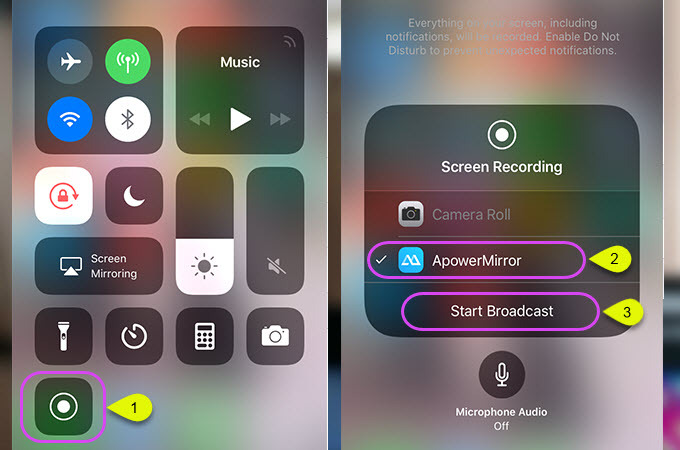 Press hard on “Record” button and choose the name of “ApowerMirror”. Then tap “Start Broadcast” to start mirroring. Then you can see the iPhone screen on another device. Note: The streaming device requires iOS 11 and higher. TeamViewer is an application with a free and paid version. It works on any platform, may it be computer or mobile devices, hence, you can download this on your iPhone. Actually, this has been used to remotely control computers over network as it offers a refreshing way to share your screen to another device. Before you proceed, you have to make sure that both devices are running iOS 11. To check this, go to “Settings” > “General” > “Software Update”. If you don’t have the latest version, just click on “Download and install”. Afterwards, follow the full guide presented below to mirror iOS screen to iOS screen. Head to your App Store and locate and finally download TeamViewer QuickSupport. Launch the app. The app will display the steps on how to configure your settings. 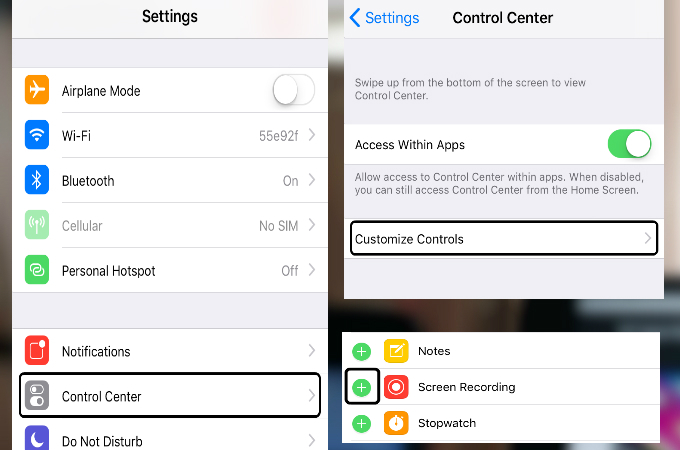 Ignore this for the time being and go to your phone “Settings” > “Control Center” > “Customize Controls”. Add the “Screen Recording” function from the options given. At this point, go back to the QuickSupport app and swipe up your screen to reveal Control Center. Press and hold the red recording button and choose “TeamViewer” from the available points on the list, then click “StartBroadcast”. Finally, a notification will appear containing your TeamViewer ID. Simply keep the details provided to you and move on to the next steps. Download and install TeamViewer on your iOS device and open it once it has been successfully installed. After that, enter the TeamViewer ID on the box provided and hit “Remote Control”. 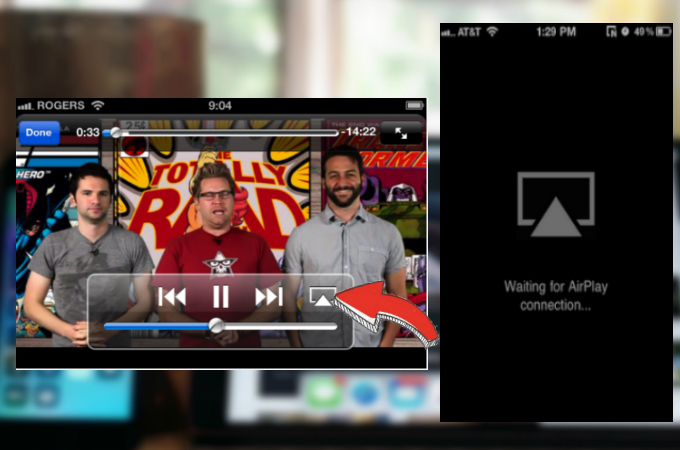 On your streaming device, click on “Allow” when prompted to establish connection. Upon accepting the request, you can now start mirroring your iPhone. 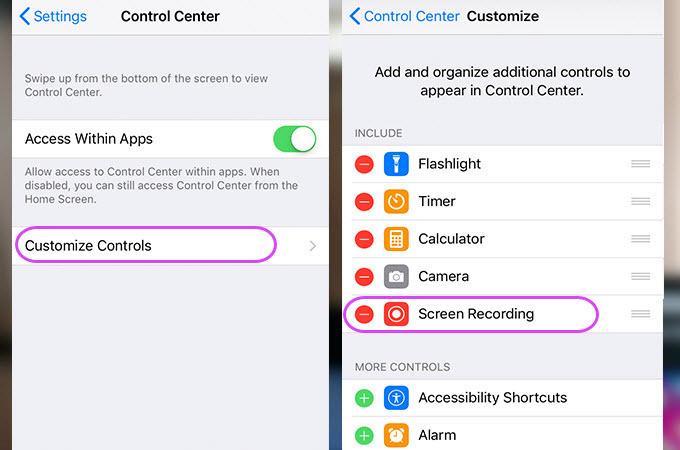 If you want to stop the process, access your Control Center and click the red screen recording icon or tap the red title bar and hit “Stop” from the emerging popup window. Search for the .ipa file of AirView in order to locate the installer of the app. Once this is done, download it to your iPhone, which will serve as the receiver, and launch it. Next, open the video that you want to stream on your streaming device and hit the video sharing icon found beside the forward button. Choose your iPhone from the detected devices to start connecting. Once done, you will see your video playing on the other device. 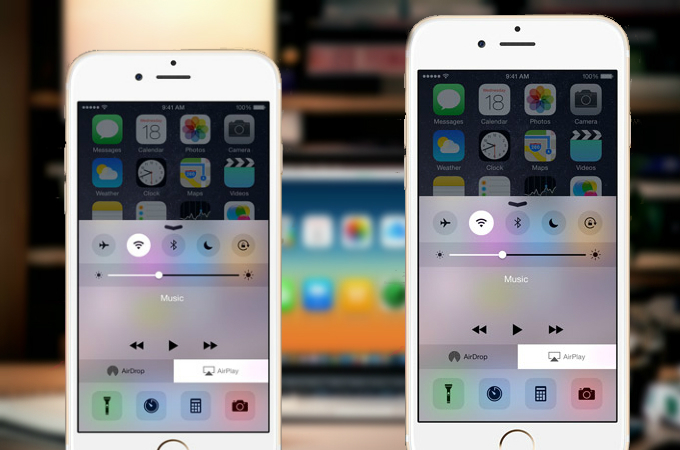 The above-mentioned applications can be used to cast your iPhone screen to another iOS device. If you know other ways not presented in this article or have some recommendations and suggestions, you can leave a comment on the comment box and we’ll be glad to review it for you.